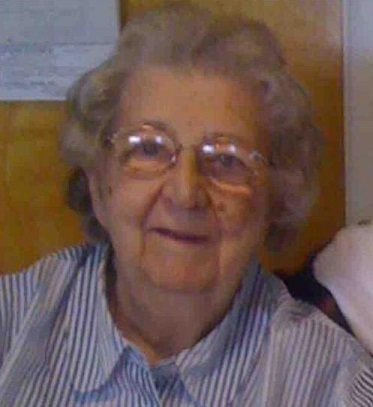 Dorothy E. (Satter) Malinauskas, 95, of Whitehall passed away March 25, 2019. She was the loving wife of the late Stanley F. Malinauskas. Born in Royersford, she was the daughter of the late George and Jennie (Jones) Satter. Dorothy was a member of St. Elizabeth of Hungary Catholic Church and the Golden Agers. Dorothy was the ultimate retail saleslady receiving many written compliments as well as verbal praise from her appreciative customers and employers. In addition to her retail sales, Dorothy was an Avon representative for 50+ years with many customers who also became her close friends. Survivors: Children- Mary West (Ron), Martha Malinauskas (Jim Bittick), Paul Malinauskas (Jackie), Charles Malinauskas (Anna Edling), Michael Malinauskas, Mark Malinauskas (Rita); 13 Grandchildren, numerous great grancildren and many Nieces and Nephews. She was predeceased by 1 brother, 2 sisters and daughter-in-law Cathy Hanna. A viewing will be held Monday, April 1st 9:30-10:30AM at Kohut Funeral Home, Inc. 950 N. Front St. Allentown, PA 18102. Mass of Christian Burial will be celebrated at 11AM Monday at St. Elizabeth of Hungary Catholic Church 618 Fullerton Ave Whitehall, PA 18052. Burial to follow in Resurrection Cemetery. In lieu of flowers, contributions can be made to St. Elizabeth of Hungary Catholic Church. The Lord called on Helen ("Tootsie," Babe) Marie (Gal) Marzano on March 15, 2019, age 74 years, 83 days. Wife of 45 years to the late Robert F Marzano and daughter of the late Joseph A. Gal and Helen Dugas Gal. Helen was born and raised in Bethlehem. She was a 1962 graduate of Allentown Central Catholic High School. After marriage, she moved to Allentown and then Whitehall PA. She was a devoted mother and grandmother.Helen was employed at PPL in the early 60's. After raising two sons, she worked at the family business as office manager and bookkeeper for JoMar Manufacturing and Linden Apparel. She also was a program coordinator for National Seminars & various promotion companies.Helen was a member of St. Elizabeth Church in Whitehall where she served in several volunteer capacities as Eucharist Minister, Bingo Coordinator, and Vocation Committee. In retirement, she volunteered as St. Martha's in Downingtown, PA.She was past President of Allentown OptiMrs Club and a member of the Women of St. Elizabeth's, Lehigh County Seniors, Prime Timers of St. Joseph's Church of Downingtown, and the Golden Agers of St. Elizabeth's.She is survived by her son, Michael, his wife Heather, and grandson Dominic of Coatesville; brother Joseph Gal, Jr and wife, Karen; sister Maryann (Gal) Foley and (Late) John Foley of Flourtown PA; and many nieces and nephews.Helen was predeceased by her eldest son, Anthony R. Marzano and brother Dr. Thomas J. Gal and wife Mary Jane of Charlottesville, VA. Services:Viewing Kohut Funeral Home, 950 N Front St., 6:30 PM to 8:30 PM Tuesday, March 19, 2019. Mass of Christian Burial at St. Elizabeth of Hungary RC Church 11 AM Wednesday, March 20, 2019. Preceded by a viewing at Kohut Funeral Home 9:30 AM to 10:30 AM. Internment Holy Savior Cemetery to follow immediately after the service.In lieu of flowers, memorial contributions can be made to St. Elizabeth Memorial Fund or the Lehigh Valley Hospital Inpatient Hospice. Joseph S. Micek, 96, of Allentown, passed away November 25, 2017. 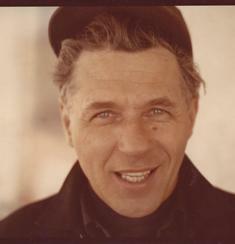 He was the loving and devoted husband to the late F. Claire (Hogan) Micek, whom he missed dearly. Born in Sellersville, he was son of the late Andrew J. and Elizabeth (Lesko) Micek. Joe served in the U.S. Army Air Corp. during WWII. He worked as a mechanic and owned/operated Royal Palms Atlantic gas station on Hamilton St. in Dorneyville for over 25 years. He was a member of St. John the Baptist Slovak Catholic Church. Joe was an avid tomato gardener, made stained glass, repaired antiques and was known as “Mr Fix It.” Joe will be deeply missed but he is now with his “honey” Claire, who he adored and never forgot. Son- Joseph and wife Kathy; Grandchildren- Kristen Seidel and husband Micah, Patrick J. Micek and wife Tiffany; Great Granddaughters- Lyla and Stella; Brothers- William and wife Lorraine Micek, Frank and wife Francine Micek and many beloved nieces and nephews. He was predeceased by his brothers- Andrew, Charles and Edward. A calling time will be held on Saturday, Dec. 2nd 10:30-11AM with Mass of Christian Burial to follow at 11AM all in St. John the Baptist Slovak Catholic Church 924 N. Front St. Allentown, PA 18102. Burial to follow in the parish cemetery. In lieu of flowers, contributions can be made in Joseph’s memory to the church care of Kohut Funeral Home, Inc.
Ashley Elizabeth Mickelson, 22, of Bethlehem, was called home on July 28, 2017 and now rests in eternal peace with her Lord and Savior. Born in Bethlehem, she was the cherished daughter of Patrice (Leary) Bobenich and Paul C. Mickelson. Ashley was a recent graduate of Northampton Community College, earning her Associates in Criminal Justice. She had a great interest in art and a passion for music. Ashley loved all animals and the outdoors, including hiking and rafting. She had a wonderful sense of humor and zest for life. Mother- Patrice Bobenich of Bethlehem, Father- Paul C. Mickelson of Bethlehem, Brother- Jonathan Bobenich and wife Jenna of Whitehall, Paternal Grandparents- Dolores Mickelson of Whitehall and Paul Mickelson of Utica, NY, many Aunts, Uncles, Cousins and 2 nieces. She was predeceased by her Maternal Grandparents- Joseph and Shirley Leary and her Cousin- Krysta Mickelson. A viewing will be held on Thursday 9-11AM with Mass of Christian Burial at 11AM all in St. Elizabeth of Hungary Catholic Church 618 Fullerton Ave Whitehall, PA 18052. Burial to follow in Holy Saviour Cemetery. Arrangements entrusted to Kohut Funeral Home, Inc.
Michael Melinchok, 93, of Whitehall, passed away July 22, 2017. He joined his beloved wife, Nettie P. (Fomby) Melinchok, after only 12 days of her being in Heaven. Born in Gilberton, PA, he was the son of the late Daniel and Tekla (Wasylko) Melnik. Michael served in the U.S. Army during WWII. He was first in the Air Corps and then infantry, with service at home, the Philippines and Korea. Michael retired from the Bethlehem Steel Corporation, as a mechanic, after 40 years on the job. He was a member of St. Mary’s Ukrainian Orthodox Church, where he served as church custodian and caretaker of the cemetery for over 20 years. Michael was also a member and officer of St. Mary’s Ukrainian American Citizens Club. He enjoyed vacationing with his family in Equinunk, PA, and Seaside Heights, NJ. Daughter- Theresa O’Donnell and husband Thomas of Whitehall; Son- Michael Melinchok and wife Martha Kyrillidou of Silver Spring, MD; Grandchildren- Alexandra and Peter Melinchok; Sister- Mary Masters of West Palm Beach, FL. He was predeceased by his brother- Wassel Melnichek and sister- Anna Kosik. In lieu of flowers contributions can be made to St. Mary’s Ukrainian Orthodox Church c/o the funeral home. Nettie P. (Fomby) Melinchok, 86, of Whitehall, passed away July 10, 2017. She was the loving wife of 57 years to Michael Melinchok. Born in Hapeville, GA, she was the daughter of the late Forest and Eudelle (Bazemore) Fomby. Nettie was a cheerleader, bowler and played basketball while she was in school. She was a member of St. Mary’s Ukrainian Orthodox Church. She was a past President of the church ladies auxiliary and Vice President of the church council. Husband- Michael Melinchok; Daughter- Theresa O’Donnell and husband Thomas of Whitehall; Son- Michael Melinchok and wife Martha Kyrillidou of Silver Spring, MD; Grandchildren- Alexandra and Peter Melinchok; Sister- Bobbie Fomby of Fountain Hill. She was predeceased by her sisters- Mary Chudyk and Margaret Richards.